? This weekend Esalen will host a special workshop for singers of all talents and ranges. The Rise Up Singing Workshop invites singers to explore their full potential through exercises and songs of many genres. Friday-Sunday, 55000 Highway 1, Big Sur. Various prices. It’s back! The Big Sur Chanterelle Festival takes place this Friday and Saturday and features a kick-off party with live music, a wild mushroom walk and panel, a grand cook-off and tasting, an art walk and Syrah wine tasting, and a 5-course awards dinner with live music and dancing. If you love Chanterelle mushrooms then you do not want to miss this event! Various ticket prices. See fabulous felines and cute kittens at the Monterey County Fairgrounds during the East of Eden Cat Show. This event takes place this Saturday and Sunday with special classes and shows geared towards all things catty. 10am-4pm, Salinas Room, 2004 Fairgrounds Road, Monterey. $5. 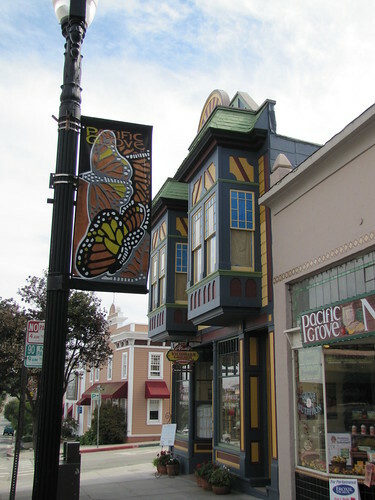 Explore charming Pacific Grove during the Art, Wine and Music Walk. Local business open their doors for art exhibitions, wine tastings and light snacks – some venues even entertain with live music! 6pm-9pm, Pacific Grove. Free event. Rock out at the Mucky Duck in downtown Monterey, presenting Generation Gap on the patio this afternoon. 6pm-10pm, 479 Alvarado Street, Monterey. Free event. Chamber Music of Monterey presents the Calefax Reed Quintet tonight at the Sunset Center in Carmel-by-the-Sea. This venue’s acoustics are perfect for enjoying classical music. The quintet will perform pieces from Bach, Debussy, Grieg and Shostakovich. 8pm, San Carlos and Ninth, Carmel-by-the-Sea. $31-$55. Salinas band City Limits performs live tonight at Bullwacker’s. Hang out by one of their fire pits on the patio and enjoy City Limit’s music that spans genres and generations. 8:30pm, 653 Wave Street, Monterey. Free event. Rex Wheeler plays relaxing acoustic guitar tonight at the London Bridge Pub tonight. Grab a drink and make it an enjoyable night out. 9pm, 256 Figueroa St., Wharf #2, Monterey. Free event. Sic Alps performs psychedelic rock tonight at the Fernwood Tavern in Big Sur. Come early to grab a bite in the lodge and enjoy a drink in the lounge. 9pm, Highway One, Big Sur. Free event. 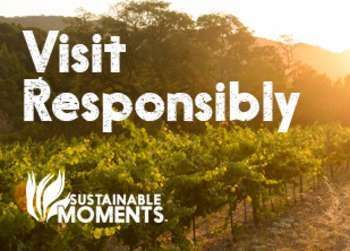 Head over to the west side of Garland Ranch this morning with guides from Monterey Peninsula Regional Parks District. Hikers will stroll though hillsides and canyons while on the Rancho Loop, Acorn Trail, Live Oak Trail, Sage Trail and Sky Trail. The 5-6 mile hike is expected to last approximately fourhours. Don’t forget to bring water, snacks, lunch and comfortable shoes. 9am, Garland Visitor Center, Carmel Valley. Free event. Who’s in for a little family fun? MY Museum hosts a Family Fun Concert this morning. Essence will perform songs from her latest hit album A Dog Named Moo. The Daily Candy even named it the Best Kid’s Record of 2011! 10:30am-11:15am, 425 Washington Street, Monterey. 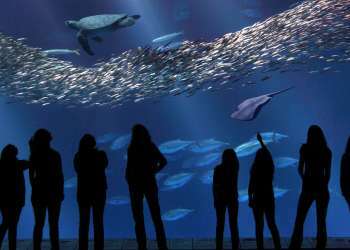 It’s time for another family-friendly Science Saturday at the Pacific Grove Museum of Natural History! Today kids will learn about Marvelous Mushrooms and their fungi friends. Be sure to stay afterwards as the museum celebrates Sandy the Whale’s 29th Birthday! 11am, 165 Forest Avenue, Pacific Grove. Free event. Stop by the Del Monte Center today for Every Beat Counts. This heart healthy event will offer blood pressure screenings, stroke education, sleep apnea information, weight management, glucose screening, store discounts, a fitness fashion show and more! 11am-2pm, 1410 Del Monte Center, Monterey. Free event. Bring the kids on over to the Museum of Monterey for a creative class on historical costume drawings. Children ages 7-12 will learn about the visual, historical and cultural aspects of costume drawings and then create their own drawing using paint, charcoal, pastel, ink, clay and more. Noon-2pm, 5 Custom House Plaza, Monterey. $10. Head over to the Mucky Duck this evening for a live jam session from Terry Shehorn and the Long Distance Flyers. Terry has been performing for over 40 years so you know you are in for an entertaining show with covers from the Beatles, Elvis, the Beach Boys, Johnny Cash and more! 6pm-10pm, 479 Alvarado Street, Monterey. Free event. Are you ready for derby season? Derby Dame season that is. The season kicks off tonight with a bout between the lovely ladies of Cannery Rollers and Babes of Wrath. A portion of tonight’s proceeds will benefit Heartless Hostilities which provides teddy bears to children of all ages. Tickets can be purchase online, the Alternative Café in Seaside or the Cat’s Meow fashion boutique in Monterey. 7:30pm, Water City Sports Center, 2800 2nd Avenue, Marina. $10 in advance or $15 at the door. Get ready to head bang tonight at Jose’s Underground Lounge. Angerhead takes to the stage at 8pm for some heavy metal rock! 8pm, 638 Wave Street, Monterey. $5. Monterey’s favorite duo cover band, A Band of Ninjas, is a Bullwacker’s tonight! Don’t miss their killer covers from artists like Sublime, Big & Rich, Jimi Hendrix, Jack Johnson and more! 8:30pm, 653 Wave Street, Monterey. Free event. Singer-songwriter Casey Frazier performs live tonight the London Bridge Pub on Fisherman’s Wharf in Monterey. His Americana and folk rock vibe are perfect for a night out with friends! 9:30pm, 256 Figueroa St., Wharf #2, Monterey. Free event. Happy 110th Birthday John Steinbeck! The National Steinbeck Center is celebrating the local writer’s b-day with free admission to Monterey County residents. The birthday extravaganza will also feature story-telling, face-painting, art and crafts and performances from Ballet Folklorico and the Youth Orchestra Salinas. 10am-4pm, 1 Old Main Street, Monterey. Free event for residents. Join Tony Miles for Reggae Sunday out at the Mucky Duck. Wind down out on their patio this afternoon before the busy work week. 4pm, 479 Alvarado Street, Monterey. Free cover.